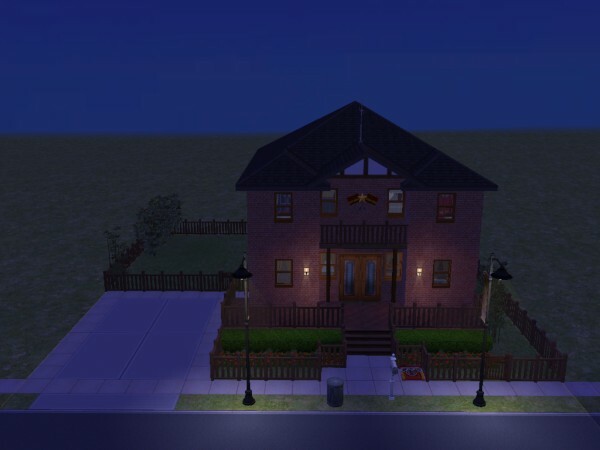 The Embassy is a small 3-bedroom, three bathroom house based on the "Small Home 2BR 1 BA Driveway" house that entered the Houses and Lots bin with The Sims 2: Nightlife. 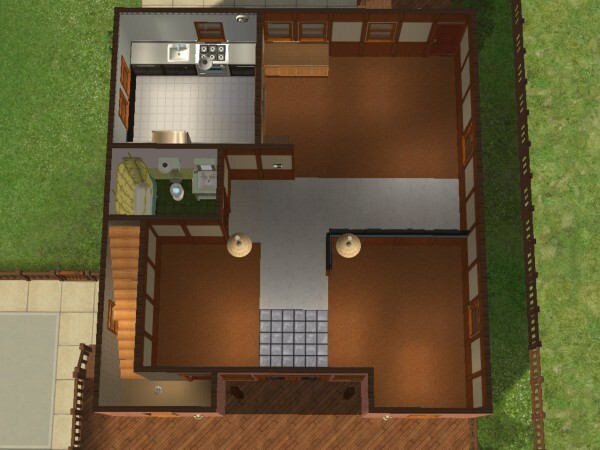 The House has been extended to a second floor. 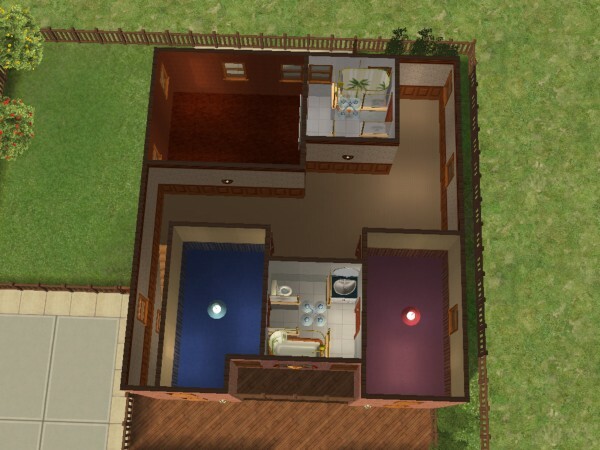 A fence has been added to keep out Filthy Monsters, the downstairs bedrooom has been converted into a kitchen, compartmentalized in the event of fire. 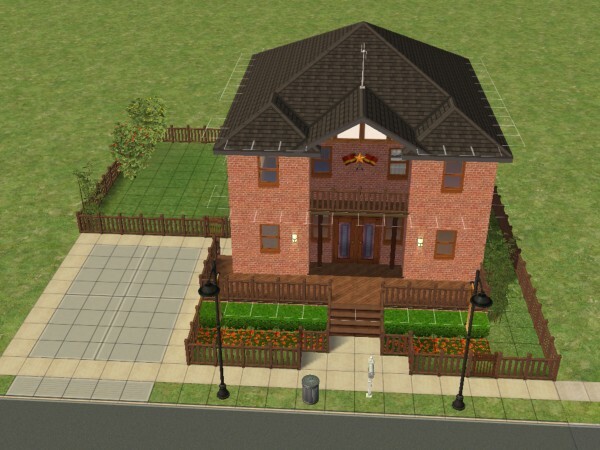 Because I am crazy, the Embassy Requires all expansions through Seasons, as well as probably requiring Either of the Holiday Stuff Packs, Family Fun Stuff, Glamour Life Stuff, Celebration Stuff, and H&M Stuff packs. Provided in two variants. 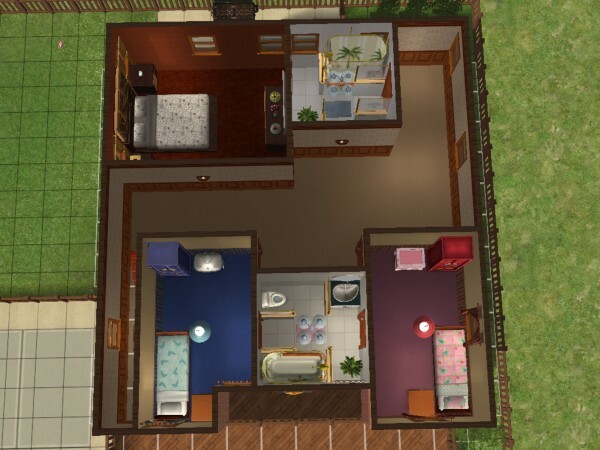 The Clean Variant includes just EA/Maxis objects, textures, and wallpapers. 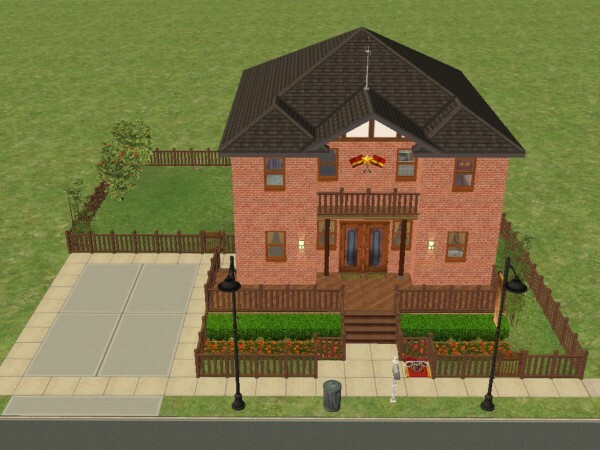 The Unfurnished variant includes basic house staples, and nothing more. 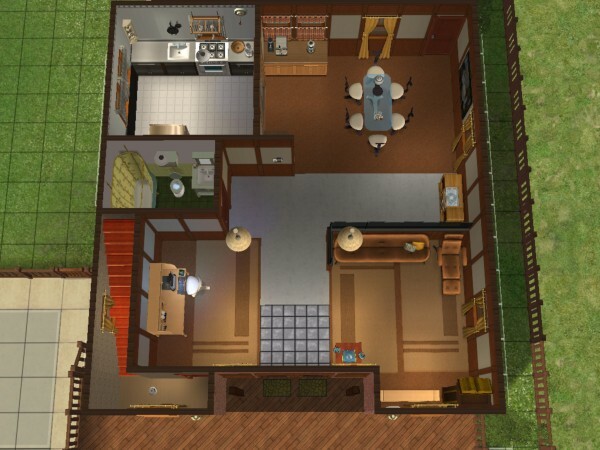 All rooms are empty, except the bathrooms and kitchen.